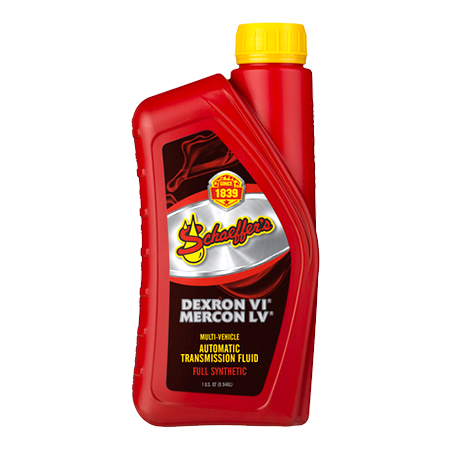 Dexron® VI/MERCON® LV Automatic Transmission Fluid is formulated with a special blend of synthetic base oils, a highly shear, stable viscosity improver and a multi-functional additive package. This unique blend creates a premium, full synthetic, multi-vehicle, automatic transmission fluid that significantly reduces transmission wear. Dexron® VI/MERCON® LV Automatic Transmission Fluid provides strong shifting performance and anti-shudder protection for all-around smoother transmission performance. It’s recommended for General Motors and Ford vehicles that specify the use of Dexron VI and MERCON LV fluids respectively; it’s also suitable for use in automatic transmissions that require a JASO-1A (JWS 3309) fluid. Anti-wear protection for clutches, gears and pumps. Less brake chatter and quieter shifting. Proper friction control for long life performance and smooth lock ups. Superior oxidation and thermal stability. Strong anti-wear protection for clutches, gears and hydraulic pumps. Excellent seal and material compatibility to maintain seal integrity and prevent leaks.